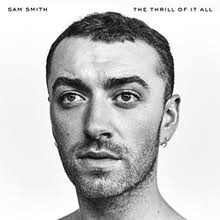 Sam Smith's new album The Thrill Of It All, gets off to a sterling start with the opening track "Pray", that staccato at the beginning almost lets you know the song will be dope and boy is it. Wonderful vocals by Sam dripping with pure emotion on this one. Sam is the male version of Adele, on top of his game right now. Pray for the sinners Sam, because you nailed this song with it's strong crisp production that does not compete with the vocals, but blends in with it like coffee goes with cream. "Burning" a slow burner, if you can excuse the pun, oozing with a raw emotion, rarely heard by many male singers these days.Sam hits those high notes with ease. With a piano piano guiding the song and lyrics to die for. This is yet another epic Sam track. "Too Good At Goodbyes" takes you to another place with it's crisp and punchy production values driving the melody to a musical heaven and back. Again, beautiful lyrics on this song with a voice that comes along very rarely. 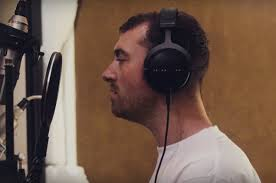 The Thrill Of It All, does what it's intended to do, taking you on a sublime musical journey of well crafted productions, intelligent lyrics, songs that grab you and won't let go. Oh, that voice Sam, that voice thrills me to no end.